As a construction worker, you may be facing the highest chances of being injured on the job compared to other workers in other occupations. If you do get injured, you may wonder if you can pursue a legal claim. The answer is yes and no. In most cases, an injury claim arising from a work-related injury will be limited by workers’ compensation laws. However, in some cases, you may be able to seek compensation from a third party, such as a manufacturer of a defective tool. In a third party claim, the limitations of workers’ compensation laws may not apply, and you can receive greater financial compensation. Falls: On job sites that require workers to be suspended at high elevations, it is the responsibility of the owners and general contractors to ensure safety by installing guardrails or other protective measures to prevent any serious injury or death as a result of a fall. Falling Objects: Construction workers are often injured by falling debris, scaffolding, cranes or crane loads, tools and equipment, ladders, or other workers. Dangerous or Defective Equipment: Defective tools and equipment can cause serious injuries to workers if they malfunction as a result of poor design or manufacturing. Negligence in Hiring, Training, or Monitoring Workers: Frequently, contractors will hire workers without making sure they have the proper training or qualifications to operate machinery or perform specific tasks, or contractors will fail to monitor workers to ensure they are not engaging in potentially dangerous activity. Motor Vehicle Accidents: Many construction sites have a number of large vehicles coming in and out, so pathways should all be clearly marked to avoid serious injuries. 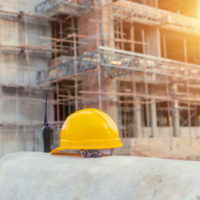 If you have been injured on a construction site, it is best to contact a Miami construction accident lawyer as soon as possible so that you can receive the fairest compensation. You may have to cover medical expenses and lost wages, so it is best to contact an attorney within a week or two. Though you have up to four years to file a legal claim, the longer you wait to pursue legal action, the harder it will be to prove your case. Be sure to consult an attorney before signing any settlement offers proposed to you by a representative of your employer or an insurance company, as you need to be sure all injuries and financial losses are accounted for. In most construction accident cases, the financial recovery will be limited by the local workers’ compensation laws, which are designed to benefit both parties. To receive workers’ compensation, you do not need to file a lawsuit but can submit a claim directly to your employer’s workers’ compensation insurer. However, some injuries are the result of a third party’s negligence, such as a defective piece of equipment, and the limitations of the workers’ compensation laws no longer apply. In these instances, it may be necessary to file a lawsuit in order to receive the fairest possible compensation. The answer to this question is dependent upon a number of individual factors. However, the answer is often yes, as you would like to make sure that you are receiving the fairest possible compensation and are not being forced into a settlement by your employer’s insurance company. To retain your legal rights to compensation, contact an experienced personal injury lawyer as soon as possible. The Miami lawyers at Spencer Morgan Law can provide you with a free, confidential consultation to help you decide the best course of action to receive full compensation for a construction-related injury.